Just as Hadrian succeeded Trajan, Domitian succeeded Titus, Nero succeeded Claudius, and Caligula succeeded Tiberius, so Kennedy replaced Eisenhower, Nixon replaced Johnson, Reagan replaced Carter, and Obama replaced Bush. Same empire, different emperor. The extent of the U.S. global empire is almost incalculable. We know enough, however, about foreign bases, physical assets, military spending, and foreign troop levels to know that we have an empire in everything but the name. There are, according to the Department of Defense’s “Base Structure Report” for FY 2009, 716 U.S. military bases on foreign soil in thirty-eight countries. Yet, according to the expert on this subject, Chalmers Johnson, the author of Blowback, The Sorrows of Empire, and Nemesis, that number is far too low: “The official figures omit espionage bases, those located in war zones, including Iraq and Afghanistan, and miscellaneous facilities in places considered too sensitive to discuss or which the Pentagon for its own reasons chooses to exclude — e.g. in Israel, Kosovo, or Jordan.” Johnson places the real number of foreign bases closer to 1,000. 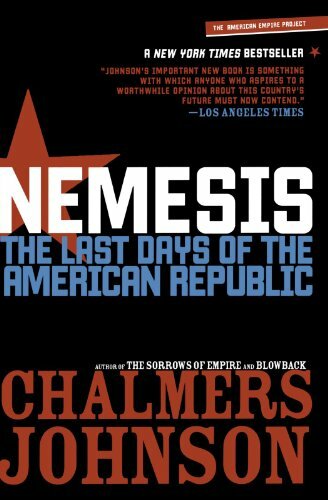 Nemesis: The Last Days... Chalmers Johnson Best Price: $2.79 Buy New $54.11 (as of 03:10 EDT - Details) This same Base Structure Report states that the DOD’s physical assets consist of “more than 539,000 facilities (buildings, structures and linear structures) located on more than 5,570 sites, on approximately 29 million acres.” The 307,295 buildings occupied by the DOD comprise over 2.1 billion square feet. The DOD manages almost 30 million acres of land worldwide. The latest defense budget (Obama’s first) is almost as much as the rest of the world’s defense spending combined. The U.S. military is the single-largest consumer of oil in the world, officially using 320,000 barrels of oil a day. The U.S. Navy’s battle fleet is larger than the next 13 foreign navies combined. And thanks to the work of economist Robert Higgs, we know that total spending for all defense-related purposes is actually about a trillion dollars. And then there are the supplemental appropriation bills not in the Pentagon’s budget. 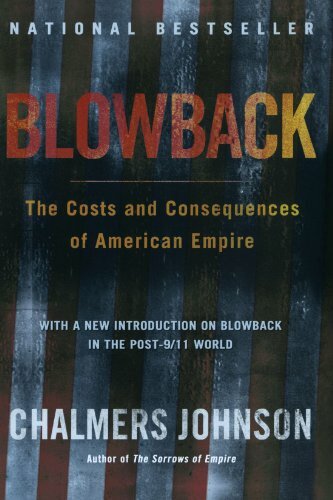 Blowback: The Costs an... Chalmers Johnson Best Price: $0.25 Buy New $6.99 (as of 07:20 EDT - Details) In addition to the over 1.1 million U.S. military personnel stationed in the United States and its territories, there are about 262,000 U.S. troops in foreign countries — not counting the 130,000 soldiers in Iraq and the 68,000 soldiers in Afghanistan, and not counting the other troops deployed in Iraq in support of Operation Iraqi Freedom and in Afghanistan in support of Operation Enduring Freedom. And then there is Obama’s new 30,000-man troop surge for Afghanistan. There would be even more troops in Afghanistan if it were not for the 120,000 contractors there on the payroll of the Defense Department, State Department, and USAID. 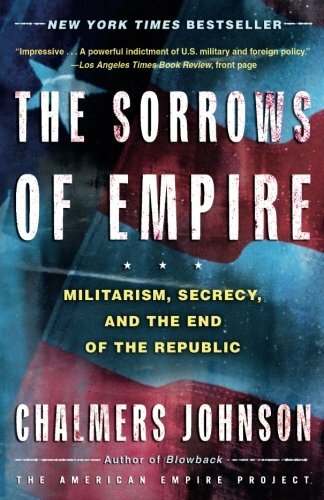 The Sorrows of Empire:... Chalmers Johnson Best Price: $1.06 Buy New $8.08 (as of 07:20 EDT - Details) According to the latest DOD quarterly report titled “Active Duty Military Personnel Strengths by Regional Area and by Country,” there are U.S. troops stationed in 148 countries and 11 territories in every corner of the globe. This the greatest number of countries that the United States has ever had troops in. This also means that U.S. troops occupy over 75 percent of the world’s countries. The U.S. global empire was well in place soon after World War II with security alliances, bilateral agreements, status of forces agreements, thousands of military installations, and troops in about 100 different counties and territories. When I first wrote about U.S. troop presence around the globe on March 16, 2004, in “The U.S. Global Empire,” I documented that the U.S. had troops in 135 countries, plus 14 territories controlled by the United States or some other country. I then showed on October 4, 2004, in “Guarding the Empire,” that the U.S. empire had increased to 150 different regions of the world. The third time I reported on the extent of the empire, December 5, 2005, in “Today Iraq, Tomorrow the World,” that number had grown to 155. The fourth time I updated the status of the U.S. global empire, on February 19, 2007, in “Update on the Empire,” I revealed that U.S. soldiers were stationed in 144 countries and 15 territories. 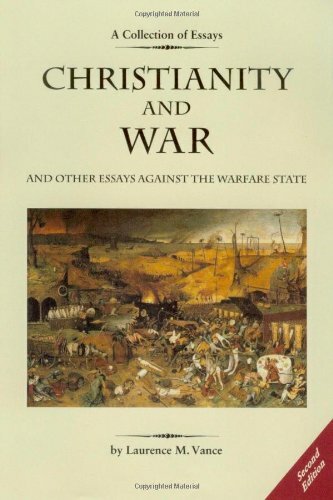 The last time I visited this subject, on April 7, 2008, in “Ninety-Five Years to Go,” I detailed that the United States had troops stationed in 157 regions of the world: 147 countries and 10 territories. Changes from 2008 consist of the addition of U.S. troops to the countries of Eritrea, Fiji, Iran, Libya, and the territories of the Northern Mariana Islands and St. Helena and the removal of troops from Antigua, Belarus, Iceland, and Suriname. Because of the independence of Kosovo on February 17, 2008, which has been recognized by the United States, I am now counting Kosovo as a country instead of a territory. And as I have said on other occasions, these numbers are not the result of Marine embassy guards stationed at U.S. embassies, as I showed in “Guarding the Empire.” Since it has been six years since I gave a complete list of countries occupied by U.S. troops, I will once again list them here: Afghanistan Albania Algeria Angola Argentina Armenia Australia Austria Azerbaijan Bahamas Bahrain Bangladesh Barbados Belgium Belize Bolivia Bosnia and Herzegovina Botswana Brazil Bulgaria Burma Burundi Cambodia Cameroon Canada Chad Chile China Colombia Congo Costa Rica Cote D’lvoire Croatia Cuba Cyprus Czech Republic Denmark Djibouti Dominican Republic East Timor Ecuador Egypt El Salvador Eritrea Estonia Ethiopia Fiji Finland France Gabon Georgia Germany Ghana Greece Guatemala Guinea Guyana Haiti Honduras Hungary India Indonesia Iran Iraq Ireland Israel Italy Jamaica Japan Jordan Kazakhstan Kenya Kosovo Kuwait Kyrgyzstan Laos Latvia Lebanon Liberia Libya Lithuania Luxembourg Macedonia Madagascar Malaysia Mali Malta Marshall Islands Mauritania Mexico Moldova Mongolia Morocco Mozambique Nepal Netherlands New Zealand Nicaragua Niger Nigeria Norway Oman Pakistan Panama Paraguay Peru Philippines Poland Portugal Qatar Romania Russia Rwanda Saudi Arabia Senegal Serbia Sierra Leone Singapore Slovakia Slovenia Somalia Spain South Africa South Korea Sri Lanka Sudan Sweden Switzerland Syria Tajikistan Tanzania Thailand Togo Trinidad and Tobago Tunisia Turkey Turkmenistan Uganda Ukraine United Arab Emirates United Kingdom Uruguay Uzbekistan Venezuela Vietnam Yemen Zambia Zimbabwe Christianity and War a... Laurence M. Vance Best Price: $3.50 Buy New $5.00 (as of 08:05 EDT - Details) The eleven territories where U.S. troops are stationed are: American Samoa, Bermuda, Diego Garcia, Greenland, Guam, Hong Kong, Northern Mariana Islands, Puerto Rico, St. Helena, U.S. Virgin Islands, and Wake Island. 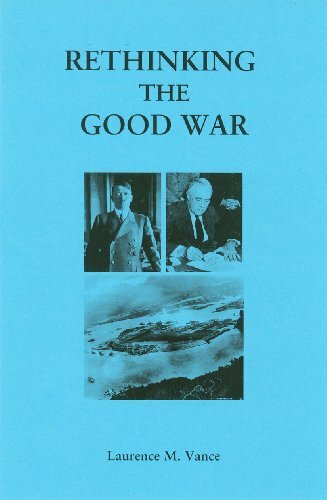 Rethinking the Good War Laurence M. Vance Best Price: $21.86 Buy New $5.95 (as of 08:20 EDT - Details) President Obama has been in office a year now and the United States is “the world’s sole military superpower” with an inventory of weapons measured in the trillions and a defense budget and global empire of troops and bases that are larger than ever. We are engaged, either openly or covertly, in five fronts in the war on terror (Afghanistan, Pakistan, Iraq, Yemen, and Somalia), plus possible future military action against Iran. Additionally, the president maintains that “the struggle against violent extremism will not be finished quickly, and it extends well beyond Afghanistan and Pakistan.” He also announced plans to increase spending on America’s arsenal of nuclear weapons — despite saying in his State of the Union speech that he seeks “a world without them.” Under commander in chief Obama we have also seen a dramatic escalation of Predator drone strikes, increased arrests and secret detentions of suspected terrorists on the slightest suspicion, and the continuation of the presidential license to order, without judicial oversight, the murder of foreigners and American citizens anywhere in the world based on dubious claims that they are a terrorism threat. And now it has come out that the Army Corps of Engineers has spent more than $4.5 billion on construction projects in Afghanistan, most of it building the nearly 400 U.S. and coalition bases scattered throughout the country. Obama is the man who, on the campaign trail, on October 27, 2007, pledged: “I will promise you this, that if we have not gotten our troops out by the time I am President, it is the first thing I will do. I will get our troops home. We will bring an end to this war. You can take that to the bank.” Well, Bush didn’t get the troops out, Obama became the new commander in chief, and, after over a year, the troops are still there. And not only are U.S. troops still in Iraq, there are still over 50,000 U.S. troops in Germany, over 35,000 in Japan, and over 24,000 in South Korea — decades after the end of World War II and the Korean War. Not two months after taking office in January of 2009, Obama ordered an additional 21,000 troops dispatched to Afghanistan. Last summer he signed a $106 billion war supplemental appropriations bill. In October Obama quietly ordered another 13,000 soldiers to deploy to Afghanistan. Now the peace-prize laureate wants an additional $33 billion and 30,000 troops to further expand the war in that graveyard of empires known as Afghanistan. And not only will he get what he wants, he will have bipartisan support. Presidential administrations come and go, but the empire remains the same. Same empire, different emperor.